‘Tis the season of giving and this little baby robin couldn’t be more excited! -5 x 7 inch size (when folded), high quality textured greeting card with brown envelope and clear cellophane sleeve. – The text on the front reads- “Happy Christmas”. Card is blank inside. A minimum of 3 greeting cards/spend of £7.50 is required before checking out. 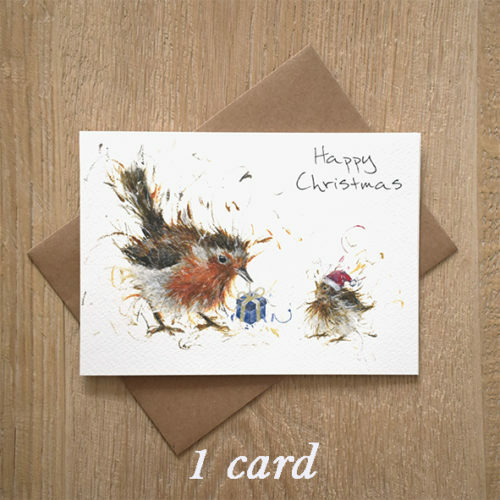 The card is made from very high quality, textured card that is FSC Certified meaning you can buy with confidence knowing this product wont harm the world’s forests. This card is also 100% biodegradable and recyclable. 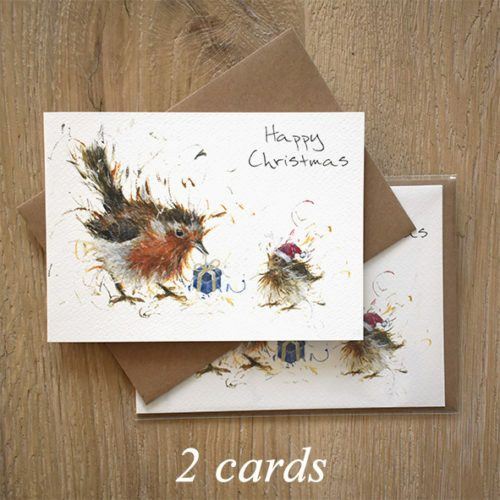 The brown envelope is made from superior 100% recycled paper and is biodegradable and recyclable. The clear cello bags are made from Polypropylene and are recyclable. 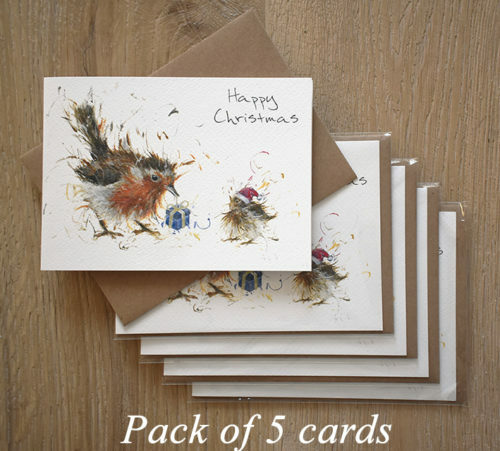 -Any 5 greeting cards for £10 (saving yourself £2.50), plus free UK shipping! Just use code CARD-DEAL at checkout. 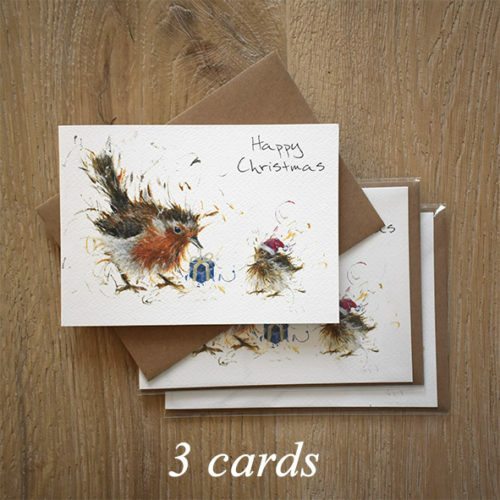 -Free shipping when 3 or more cards purchased (no code needed). Please note that all of Aaminah’s cards have messages on the front cover. We do not supply cards without these messages. The inside of each card is blank. Aaminah Snowdon Art. All rights reserved. Assistance and hosting provided by Vixre.